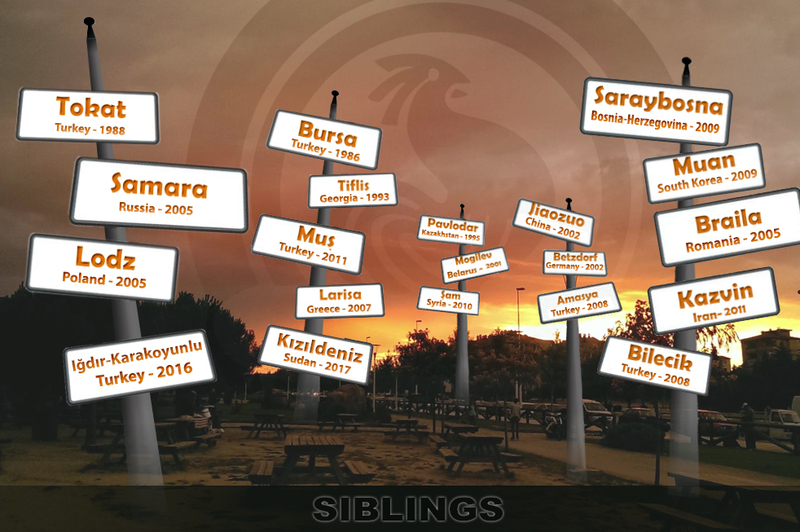 Program began with placing the wreath to Ataturk Monument in front of Denizli Municipality. 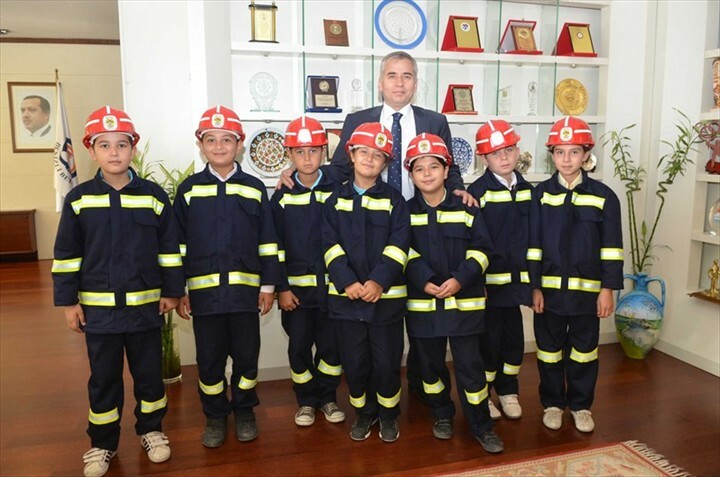 Osman Zolan Mayor of Denizli Municipality, Mustafa Gökoğlan deputy mayor, İlyas Tuncer Fire Chief, fire brigade and volunteer students-firefighters of Şemikler Amiroğlu Primary School attended the program. 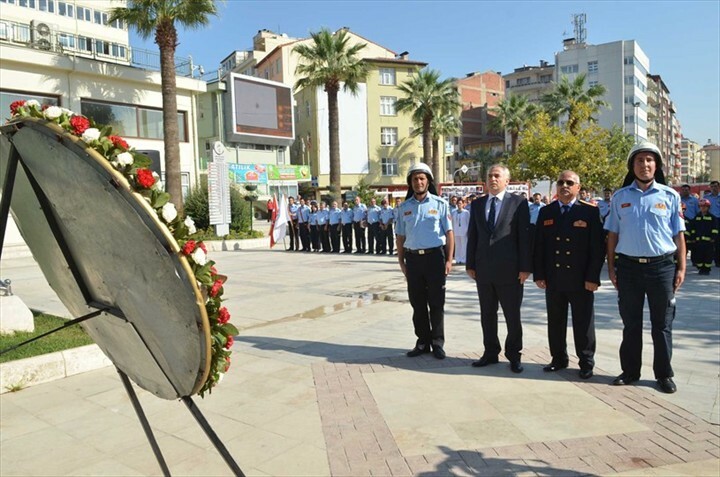 Mayor Zolan laid a wreath at the Atatürk monument. 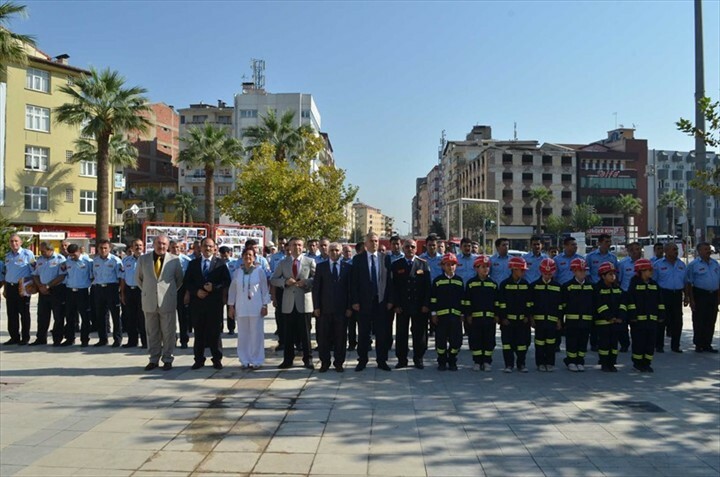 Mayor stated that Denizli Municipality's Fire Brigade is the most powerful Fire Brigade of Turkey. It is an institution that saves our lives and property, and from drowning. 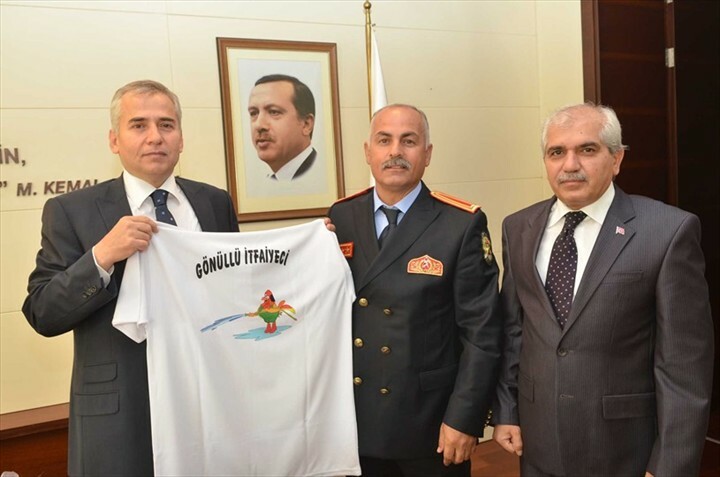 Denizli Fire Brigade is Turkey's most powerful organization. Our Fire Brigade can put out fire professionally. 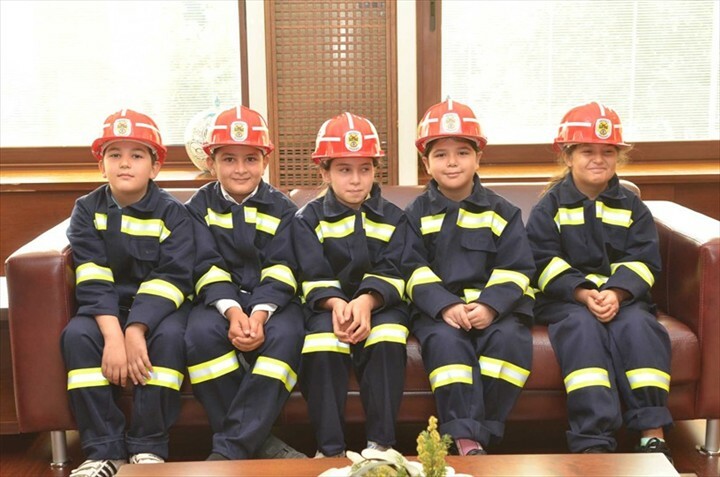 The largest contribution of the citizens is not to intervene in the event and to follow instructions given by firefighters. 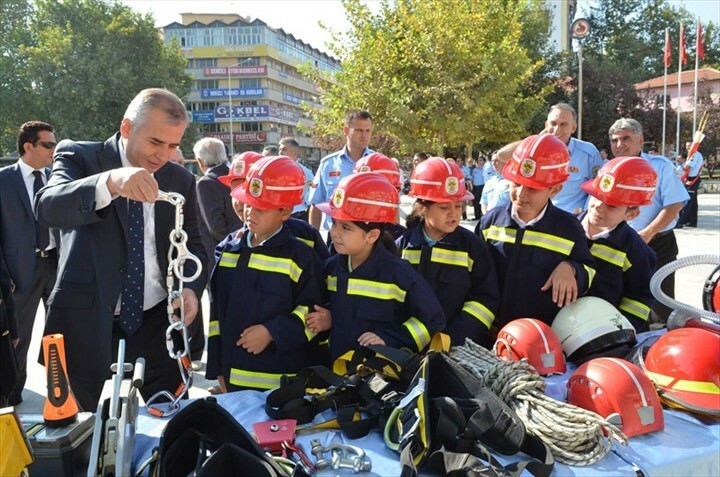 Firefighters are continuously working to save lives and property of our citizens from floods, fires, traffic accidents and earthquakes. I would like to honor the memories of all firefighters that gave their lives to save others and wish long life to firefighters who are still alive. After the program, Mayor welcomed firefighters in his office. Volunteer firefighters also participated in the visit program. 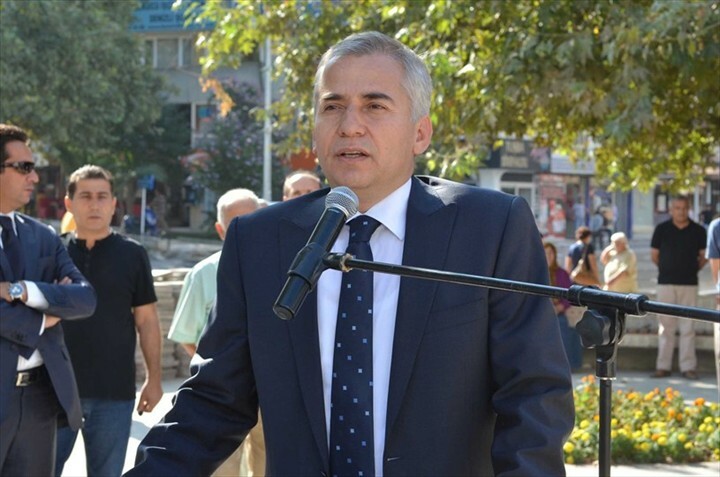 Mustafa Gökoğlan stated that today the safety of life and property is at the highest level thanks to the support given by Mayor to the Fire Department. 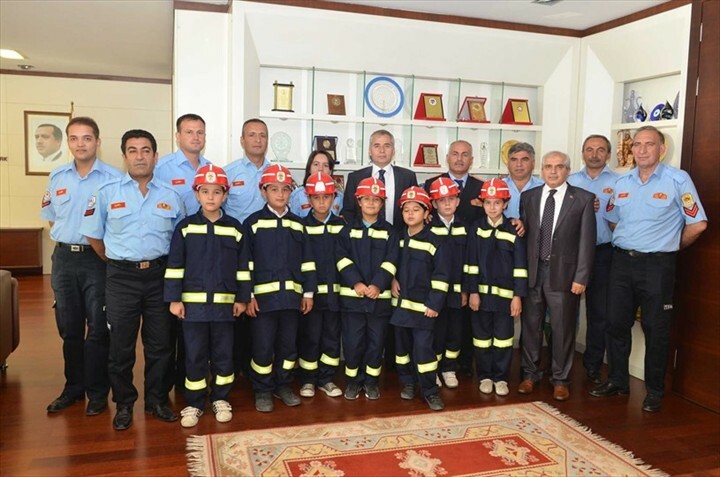 Then Mustafa Gökoğlan, İlyas Tuncer and firefighters visited Denizli Governor Abdülkadir Demir. Within the activities, Fire Brigade Stand was opened. The devices, used in natural disasters and excavation works; devices used during drowning in a stream, river, lake and sea; devices used during the fire are exhibited here. Also photographs of traffic accidents and fires are also exhibited. Fire and search and rescue exercises and training sessions will be held within the Fire Service Week.